“Weird Al” Yankovic is the king of pop culture parody, and has sold more comedy records than any other artist in history. In a career spanning over three decades, he has amassed 30 Gold and Platinum albums, 7 Gold and Platinum-certified home videos and 3 Grammy Awards (with another 11 nominations). 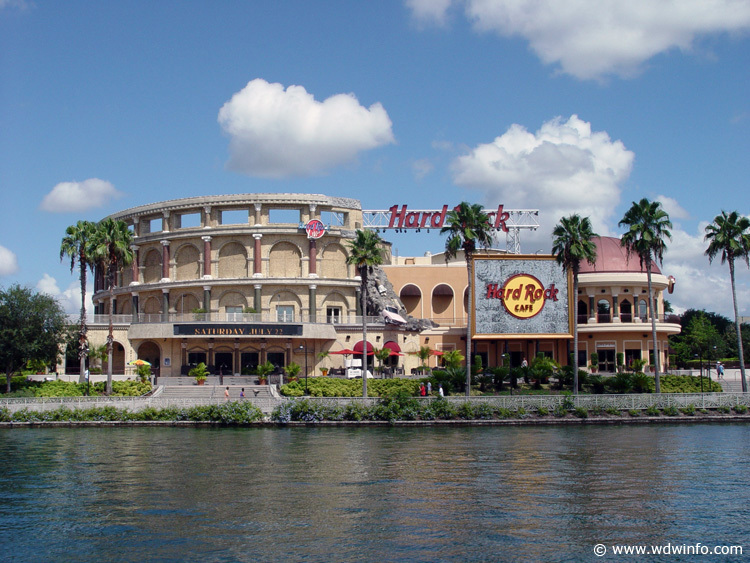 “Weird Al” Yankovic is back on tour, and has a date at the Hard Rock Live at the Universal Orlando Resort on Wednesday, July 21, 2010. He joined the DIS Unplugged for an interview prior to his performance in St. Charles, MO. Continue after the break to listen to and read the transcript of my interview with “Weird Al” that also includes the full video for his “Skipper Dan” Jungle Cruise parody song. 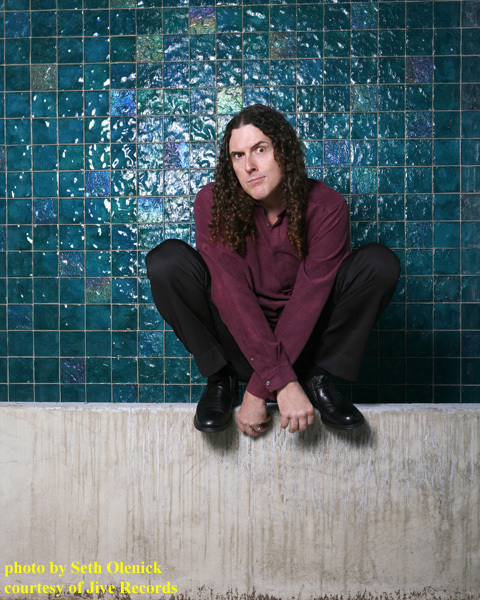 To hear Dave’s interview with Weird Al, click here. Dave Parfitt: Al thanks for joining us. “Weird Al” Yankovic: Oh, my pleasure David, thank you. DP: Can you tell our audience a little bit about how you got started in music satire? WAY: Well, uh, I don’t think I was too much different from every other 8 year old in the universe. I would listen to the radio and make fun of the songs that I’d heard 1,000 times and just start twisting the words around and making them stupid and trying to amuse my friends. It was just a phase that I never really grew out of. I guess after a while I developed a little bit of a talent for it, and got a bit of early exposure through the Dr. Demento radio show and it just kind of accidentally became my career. DP: What’s your song-writing process like? WAY: Really hard to describe the creative process. I just kind of wait around until a good idea pops into my head, and sometimes I have to actively peruse the Billboard charts or surf online and try to get myself some sort of pop-culture stimulation. Then, hopefully a good idea will come and then I’ll spend sometimes weeks coming up with ideas: variations on a theme, gags related to a particular concept, and then I try to get all those ideas filtered down into some kind of pop song format that hopefully will hold people’s attention for 3.5 minutes. DP: You must have a pretty wide range of musical abilities to parody the spectrum of music that you do. WAY: Well I’m a fan of a lot of different kind of genres of music, and I’ve been fortunate enough to early on surround myself with a lot of very talented people. I’ve had the same band since the early 80’s. I like to say that they’re one of the best bands in the world because they can play pretty much any genre that you can throw at them flawlessly everything from zydeco to gangsta rap. They’re amazing musicians, and they’ve got the drill down. Really anything that I could possibly give them to play they just nail every time. DP: Do you ever hear back from the artists you’ve parodied? DP: That’s nice, that’s exactly what I was going to ask what’s their reaction to being lampooned by “Weird Al”? When you first approach them how do they react? WAY: Well these days actually very favorably. When I first starting out early on people didn’t know who or what a “Weird Al” Yankovic was or what to expect, but I’ve been doing this for quite some time now and it’s gotten to the point where a “Weird Al” parody is really kind of a rite of passage – a sign that you’ve achieved a certain level of success in the music industry. When I did “White and Nerdy”, Chamillionaire thanked me when he won his Grammy he said my parody made his Grammy win inevitable. You know, it’s a sign that you’ve really made it in the music industry. DP: Has any artist ever refused to give permission to use one of their songs? WAY: It’s really quite rare. The only artist that has consistently turned me down has been Prince. He really has never given a reason, and I’m not quite sure what his logic is. He, for whatever reason, just does not like the whole concept of parody I guess. DP: OK. Many of your songs are in fact originals, correct? WAY: About half of them, yeah. Even though they’re original a lot of them are in the style of other artists. I sometimes call them style-parodies or pastiches. They sound like another artist, but they’re not based on any one particular song. “Skipper Dan” (1999) video used with permission of Jive Records. DP: One of your recent original songs really struck a chord with the Disney fan community that we’re a part of. “Skipper Dan” that was released on last year’s EP “Internet Leaks”. The video was passed around a lot within our community, and it was clear you were very familiar with the Jungle Cruise attraction. 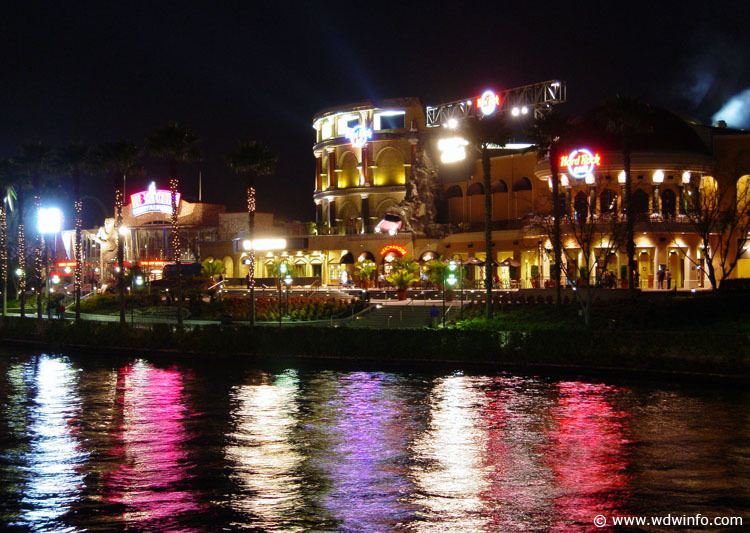 Are you a theme park fan? WAY: I certainly am, and I’m very, very pleased that it’s found favor with the Disney folk because I am a big Disney fan and I certainly didn’t mean any disrespect. I was hoping that Disney employees would in fact enjoy it and take it to heart and have fun with it and not see it as a dis of any kind. It certainly was not. In fact, it was inspired last year when my family and I went on the Jungle Cruise ride at Disneyland. The skipper at the time made some sort of off-handed comment about his failed acting career. Immediately a light bulb went off and I thought “Oh, well there’s a song right there!” So I developed this whole story about Skipper Dan and his troubled acting career. DP: Yeah, well I think a lot of famous people have gone through as Cast Members for Disney Parks. John Lasseter tells the story of being a Jungle Cruise skipper. DP: It seems like Disney and the Disney Parks are pretty ripe for satire. Would you agree? WAY: Oh yeah, yeah. I mean, actually, there’s more than one Disney reference in my live show. I don’t really want to give anything away. But yeah, I grew up in Southern California so Disneyland was a big part of my childhood and still informed a lot of my sensibilities. DP: Michael Jackson’s music seems to be resurging right now with a year passing since his death. You’ve certainly had a couple of hits with parodies of his music including “Eat it” and “Fat”. Disney has just brought back Michael Jackson’s Captain EO to Epcot, have you seen it? WAY: I haven’t seen it since it came back, but I certainly saw it a few times in its initial run. DP: Any plans to parody Captain EO with a “Weird Al” parody? WAY: No, not as such – I hadn’t thought of that. Although I did put out a 3D movie last year called “Al’s Brain in 3D” which ran at the Orange County Fair in Costa Mesa, California and also in Puyallup, Washington. And it’s going to be back at the Orange County Fair this summer actually. Captain EO was one of the many 3D movies that certainly inspired that. DP: So, you essentially do have your own “Weird Al” based theme park attraction then. WAY: I… (laughs)… I guess I do. DP: In October 2009, you had a two-disc greatest hits package come out called “The Essential ‘Weird Al’ Yankovic”, and the liner notes called for your induction into the Rock and Roll Hall of Fame. You have gold-records, Grammy awards, how much do you think about your music legacy? WAY: (Laughs)… Well, uh… not every hour… No, I don’t know. I mean, I’ve been doing this for a while. Certainly when I’m putting together a package like “The Essential ‘Weird Al’ Yankovic” that is certainly a legacy kind of project. In fact, the record label is called “Legacy”. So when I was choosing the songs on that collection, it wasn’t even so much really what songs were the big hits. Although, certainly I’ve included pretty much all of those, but it was more what songs I want to be remembered for. Certainly when I’m working on a project like that, my legacy enters into it in a major way, but when I’m shopping for broccoli I don’t think about my legacy all that much. DP: Do you have a song that’s your favorite? DP: OK, so just buy the album. What about the fans, what song is the fans’ favorite? WAY: It depends who you ask. If you go to a live show, I don’t think there’s one particular song that gets the most reaction. The biggest hits would be “Smells Like Nirvana” and “Yoda” and “White and Nerdy” and “Fat”. There’s quite a number of songs that have been big hits over the years, and everybody’s got their own favorite. A lot of fans that come to the show, their favorite song may be some obscure, deep cut oldie that they didn’t think they’d hear in a live concert. So it’s really hard to say what the favorite song would be. DP: Can you describe your show a little bit? What should fans expect when they’re coming to your concert? WAY: Well, for the people that have never had the live “Weird Al” Yankovic experience, it’s more than a rock show. It is, in fact, a high energy rock and roll show with me and the same band that I’ve had since the very beginning. On top of that, there’s a lot of costume changes, it’s a multi-media kind of show because there’s clips running behind us while we play and interstitially so we can run backstage and do quick costume changes. It’s been described almost like a Broadway show because it has a lot of production value to it, but it’s first and foremost a high-energy rock and roll comedy show. DP: Well, you can see “Weird Al” Yankovic at his concert at the Hard Rock at Universal on July 21st, or you can check out the rest of his tour dates at WeirdAl.com. Al, thanks for taking the time to speak with us. Good luck with your tour. WAY: My pleasure, thanks so much. DP: This has been David Parfitt, Senior Correspondent for the DIS Unplugged, talking with “Weird Al” Yankovic. Thanks for listening.